Unipak Nile, corrugated packaging manufacturer in 6th of October City, Egypt met with industrial manufacturers and horticultural growers in East Africa, while exhibiting at Plastics, Printing and Packaging (PPP) Expos in Kenya (12-14 June) and Tanzania (18-20 June). 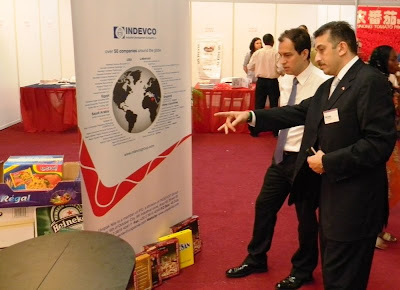 The Egyptian Commercial Consular in Nairobi, Amr Al-Bakri, visited Unipak Nile's booth in Kenya, while the Tanzanian Minister of Finance visited the booth after the opening ceremony in Tanzania. "It was an excellent opportunity for Unipak Nile to explore these new markets and different aspects of expanding our export activities in Kenya and Tanzania, as well as other East African markets." Interested parties can request product quotes and samples, as well as download brochures.